Play Nintendo has put up a poll asking readers which character they'd like to have as their Valentine for Valentine's Day. The poll is chock-full of popular Nintendo characters, but no one stands a chance against Waluigi. He's currently the top pick by far, with over 6,500 votes and counting. Nintendo says they hear your requests for Waluigi and Geno in Smash Bros. Sometimes when it comes to Nintendo, you can feel like your comments and requests fall on deaf ears. Nintendo wants you to know that's not the case when it comes to your cries for Waluigi and Geno to be a part of the Smash Bros. series. In an interview with USGamer, Nintendo's J.C. Rodrigo specifically addressed the requests for Waluigi and Geno to join the playable roster. I've been hanging around the Smash Bros community. I've been doing a lot of events; anytime you see a Nintendo logo at a tournament, I help with those as well. We know how passionate our fans are. We were thankful and appreciative of all of [the responses]. Surprised? No, not at all. People want their characters; we hear you. 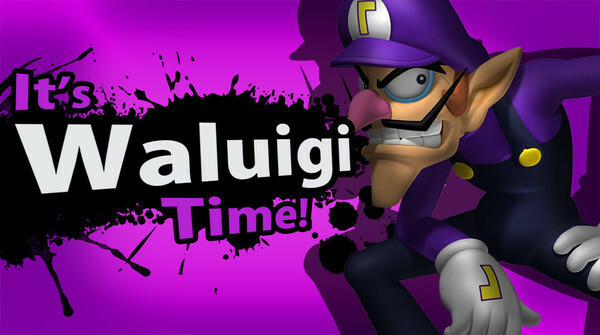 As far as we know, at th is point in time, Waluigi is not going to be a playable character in Smash Bros. Ultimate. Fans have cried, screamed, begged, and berated Nintendo about it, but there's been no change. What exactly does Nintendo think about all of this? Here's Nintendo of Canada PR rep Andrew Collins commenting on the situation. I think it’s great when something builds naturally because, you know, as a marketer, when you have something that goes viral like that it’s brilliant. You can’t buy that. You can’t create it. And when the fans do something like that, it’s amazing. But it’s so good to see from a passionate side of things. And let’s face it, it’s funny. I’ve seen some of the photos. I’ve seen some of the artwork that people have created, and it’s fantastic to see their passion. And, you know, there are some gifted people out there. Now Waluigi come into your home even if he's not in Smash Ultimate. All it took was two chairs for the collective internet to lose its mind. During today's Smash Bros. 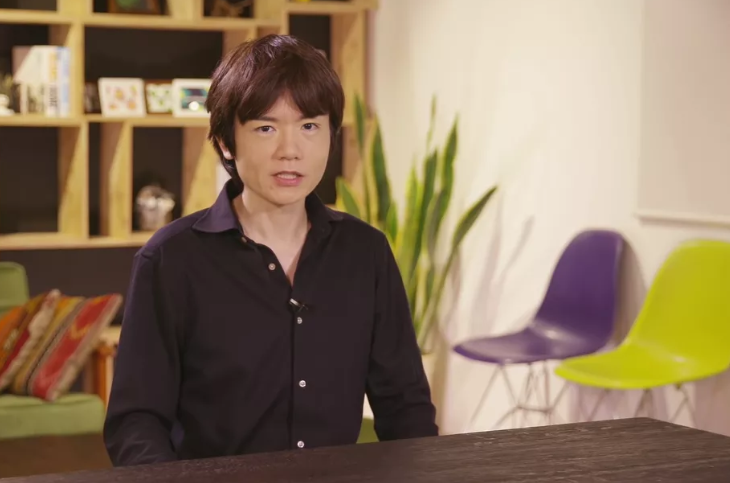 Ultimate Direct, Masahiro Sakurai sat alone in a room and talked all about new characters and features coming to the game. Off to his left were a pair of empty chairs. One of them purple, and the other yellowish/greenish. That's all it took for Smash Bros. Ultimate detectives to confirm that Waluigi is coming to the game. Some people believe that the chair setup is 100% confirming Waluigi's playable appearance in the game. Others say it's just two chairs and means nothing. Hell, I'm not even sure that one chair is yellow. What do you have to say about it all? This song has been associated with Waluigi before, but there's never been a better time for me to try my hand at it than during these times of disconfirmation from Smash Bros. Join Waluigi on a soul-searching journey (with brand new art!) with some of the most beautiful four-part complaining you'll ever hear! What was the big talk coming out of E3 2018? Waluigi wasn't revealed as a playable character in Smash Bros. Ultimate. Waluigi in general has been a hot topic for Nintendo fans for a couple years now, as they'd love to see him get his own game. What's the deal here, and why does Nintendo seem to keep holding Waluigi down? Reggie Fils-Aime talked about all things Waluigi with Vice. CLEARLY, Nintendo does not hate Waluigi. Because here I am with him as my main character. I mean look, we're making every character that's ever been in a Smash Bros. game available in Super Smash Bros. Ultimate. [With faux exhaustion] You would think that would be enough to satisfy the fans. But noooooo! The fans have to focus in on one character that isn't part of the series and to demand their inclusion. I love that our fans have a passion for our intellectual property that feels so good....it's humbling, but I've got nothing to announce about Waluigi. Due to Nintendo's continued lack of attention towards Waluigi, Did You Know Gaming takes a look at some facts, secrets and Easter eggs relating to Waluigi! Waluigi first appeared in Mario Tennis on the Nintendo 64, and has since been a regular character in Mario spin-off titles including the recent Mario Tennis Aces. 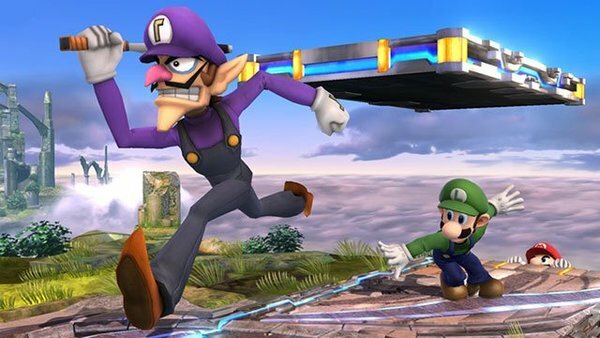 Waluigi also has a strong connection to Wario, and often appears alongside him as a pair, but not in Super Smash Bros Ultimate... We personally are hoping for a Waluigi game, or even Waluigi games in the future. Nintendo could just throw in Waluigi and put this game back out on shelves, and watch it sell like crazy. Mario Kart 7: Waluigi Edition. That's a million seller if I've ever heard of one! 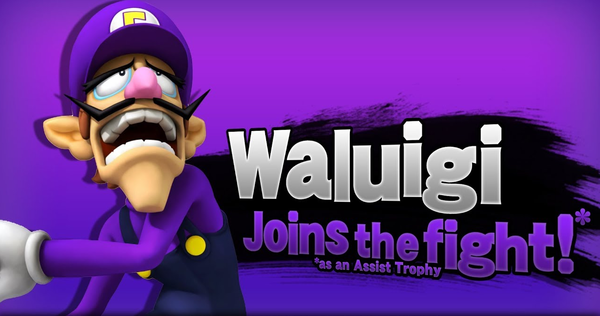 While they're at it, they could finally put Waluigi in his own starring role as well!